THIS WORKSHOP HAS BEEN FULLY BOOKED. IF YOU WOULD LIKE TO BE ADDED TO THE WAITING LIST, PLEASE EMAIL ycas@yorkcountyaudubon.org WITH THE SUBJECT “4/20 Workshop Waiting List.” Note that a few spots are still available for the May 5th workshop. Are you curious about the lives of the birds around you? Have you ever wondered what they eat, where they rest at night or what they’re saying? 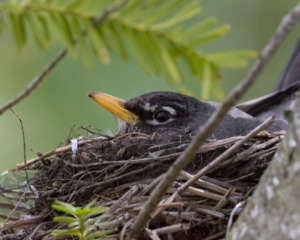 This half-day field workshop blends a little bit of bird identification with seeking out bird tracks & sign, interpreting their sounds and understanding their lives. Spend the morning with bird language expert & wildlife tracker Dan Gardoqui to gain a deeper connection to the birds. Participants should be dressed to be outdoors for the entire 3 hours – regardless of temperature. Dress in layers. Bring snacks and a drink. For Adults & Interested Teens. Group size is limited to 15 people, and advance registration is required. Please register using the form below. The price is $20/ person ($25/person for non-members), payable by cash or check at the workshop. Participants who are members of either YCA, Maine Audubon or the Wells Reserve qualify for the member price. Note that this same workshop is also being offered on Sunday, May 5th. This workshop is being co-hosted by YCA and the Wells Reserve at Laudholm, but reservations are being taken only through this YCA website (below). Participants who are members of either YCA, Maine Audubon or the Wells Reserve are eligible for the members price.